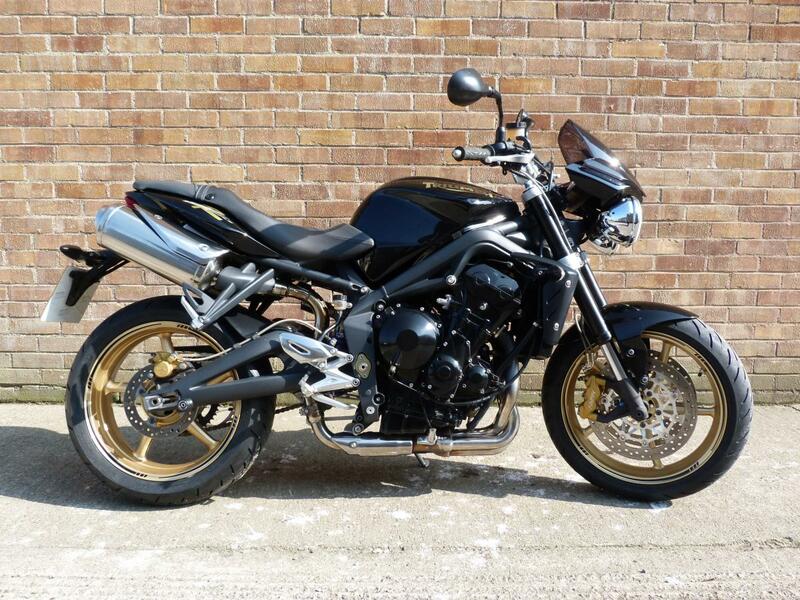 Here for sale is a 2010 10-plate Triumph Street Triple "R" with 16,000 miles on the clock. This Awesome little toy is so much fun to ride and is fitted with a Maxton rear shock absorber, Radial mount calipers, a new pair of Dunlop tyres, rim tapes and swing arm bobbins. Anyone looking a for a ear to ear grin this summer should come down and try this bike!